Floor tape is the backbone of our business. It's what we know best. 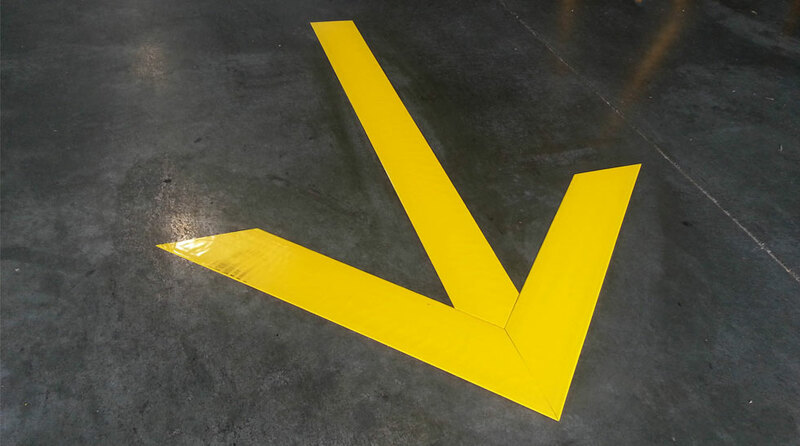 Our company was built on the idea that there is a better solution to marking floors than painting. The time it takes to chemically or physically remove old painted lines, prep floors, paint, then let paint/floor dry for days is just not an efficient option for businesses that can't afford to close down a work space for multiple days. Our solution was our flagship product: Superior Mark™ Floor tape. We researched, designed, patented and produce Superior Mark™ floor tape in our facility in Wake Forest, N.C. This premium tape has beveled edges and a recessed adhesive which makes it more durable against heavy foot and equipment traffic. In many work spaces, especially large facilities, floor markings are designed to serve as a guide to employees and lead to the most efficient work flow for a business to achieve the highest productivity. In addition to our rolled floor tape, we've got information on how to use pallet markers, pre-cut kits for areas like exits, electrical panels or SDS stations. Still looking for more information? Use our online floor marker calculator to easily determine the number and type of floor markers you need. 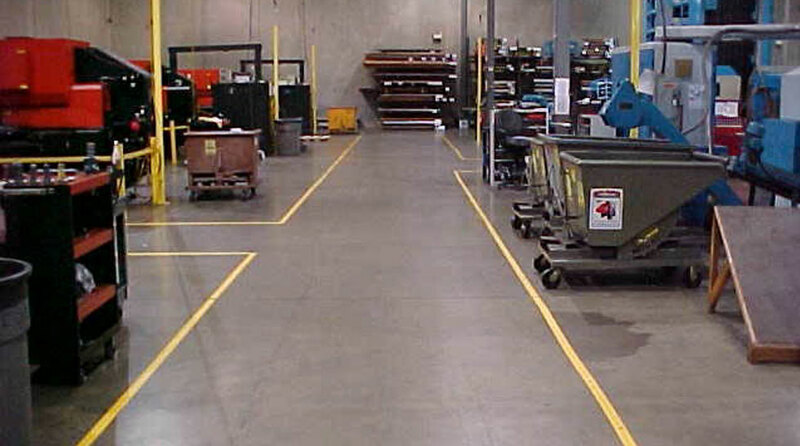 Using efficient, versatile, and clear visual marking tools to create structure and flow of people and vehicles is key to a safe, organized, and productive workplace. Don't take our word for it. See for yourself how much more durable our patented designed Superior Mark™ floor tape is compared to competing tapes. 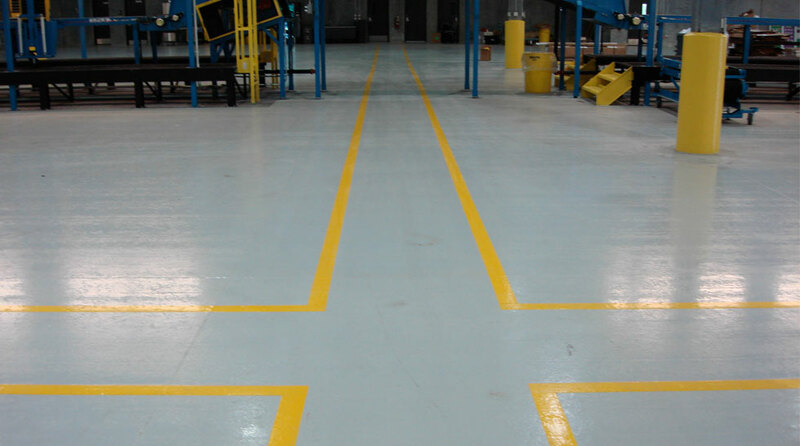 Our beveled edges help protect the edges from heavy forklift traffic, making it last longer than any other floor tape. Here are some of our guidelines for how to properly test your marking tape's durability. For example, don't test solely in high traffic areas like loading docks. Instead, test your floor marking tape in areas that accurately represent the floor markings and traffic in the majority of your facility. When installing your marking tape, make sure to prepare your floor and remove contaminants. Experiencing issues applying your Superior Mark™ Floor Tape? This video will help you avoid common mistakes during installation, and give you best practices to make sure you apply your floor tape perfectly every time for long lasting results. Here's just a sampling of some of our top-selling Superior Mark™ floor tape products. 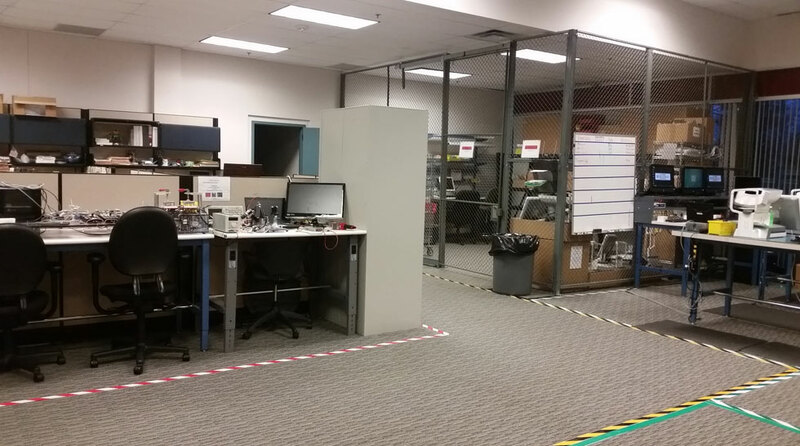 Meant to offer visual instruction, floor tape should make your workspace more productive and safer for employees. We have hundreds of products to help and even the ability to customize your tape to best meet your needs. Gaffa Tape: What Kind Do You Need?